This post was written for Wardrobe Crisis, edited by Clare Press. Adidas is making a name for itself as a self-aware, convention-challenging label. Following the brand’s partnership with Parley for the Oceans, a new collab is set to launch which, on purpose or otherwise, poses a poignant question to our consumerist society: Have we reached peak instant gratification? When you can buy a pair of sneakers any time, any place, at any price, there’s something subversive about a giant multi-national brand getting into bed with an indie niche one, and making a small run of shoes that won’t be easily available. 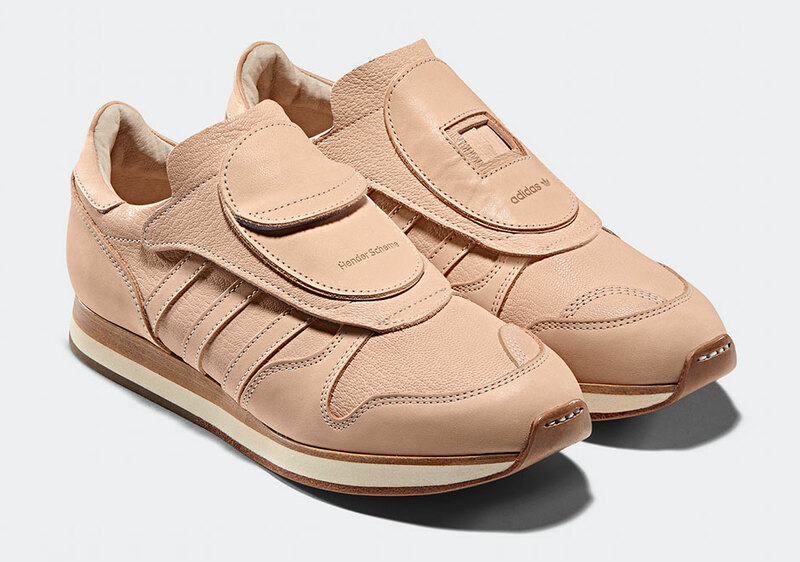 Hello Hender Scheme x Adidas, a line that bucks the fast fashion trend by promoting an altogether slower – and less mass – approach. There’s only one problem: it’s so slow and niche, you’re very unlikely to be able to buy it. Perfect if you’re in a shopping detox! Never heard of Hender Scheme? It’s the Japan-based artisanal, handmade leather label founded by Ryo Kashiwazaki. Starting as an escapade in bootleg fashion (up-scale fakes! ), Kashiwazaki creates mock Adidas sneakers with a twist: they’re made in leather using artisanal processes. “Even with the same design, how the shoes will finally look depends on the craftsman, because each one makes the same shoe in their own way, since each craftsman has a different mind,” he told Business of Fashion. Instead of fighting this wry copycat, Adidas took the approach of an embrace. The collab consists of three classic Adidas styles, created the Hender Scheme way. Only 900 pairs are being manufactured, and with a hefty price tag (about $900 USD) these sneakers are reserved for the few. Nonetheless, a point has been made. We might reconsider producing for the sake of producing (and buying for the sake of buying), leading to a mass of deadstock and waste, whether in a factory, landfill, or your closet. If you have a spare grand handy, good luck – we predict a frenzy when the sneakers hit selected stores on September 2. For the rest of us, let this simply be an example of how we should be appreciating fashion – investing in longevity and supporting craftsmanship. Previous Post these new gen designers are making upcycling chic.